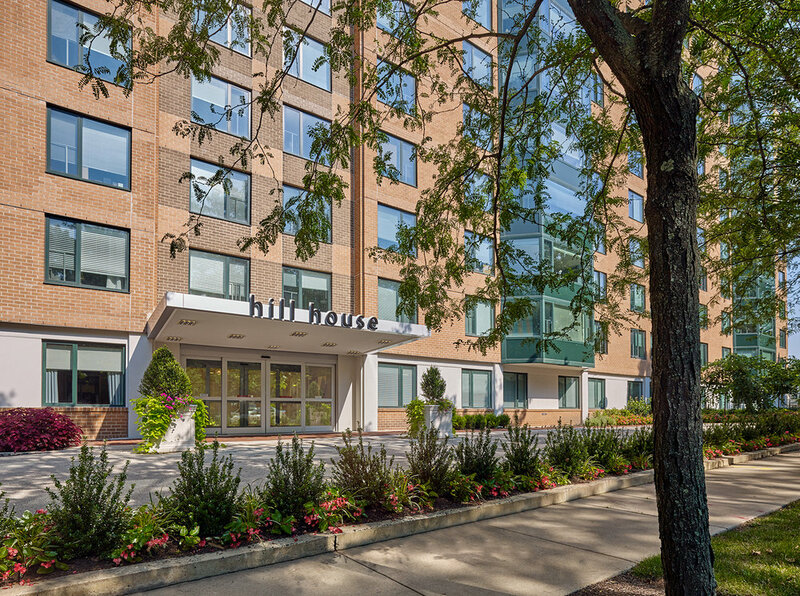 In an intricate place, this amenity space rests southwest of an apartment building and on top of an existing parking garage in Chestnut Hill, PA. 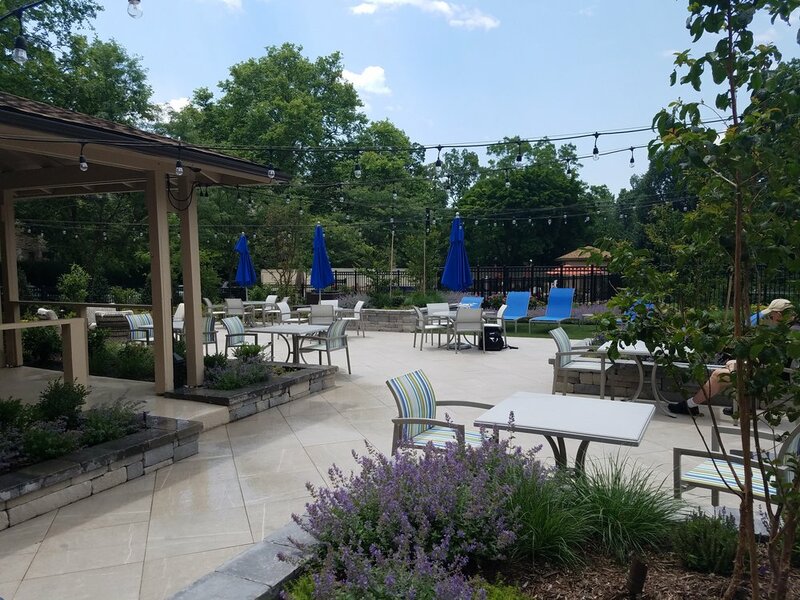 It is a private space for residents at Madison Apartments to enjoy active and passive nooks created by material changes, plantings, and retaining walls. 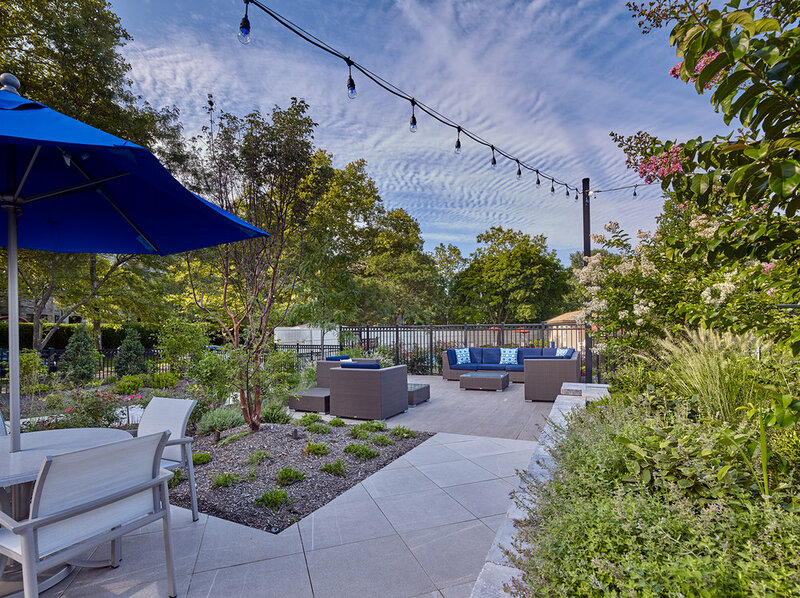 Amenities on this roof top garden include an existing pergola renovated by others, grilling areas, a variety of seating options from couches to 4-tops, and lighting that creates active play in the evening hours. 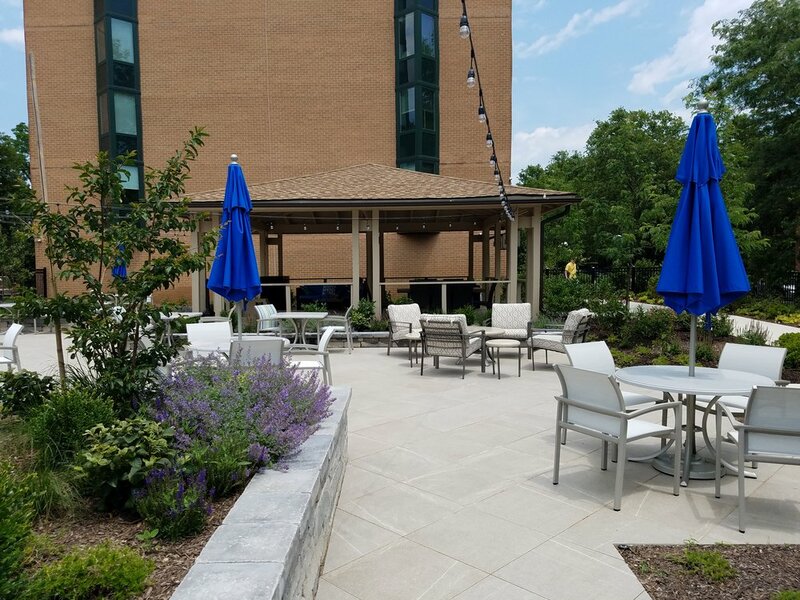 Due to elevations being set and to maintain structural integrity of the roof, we incorporated berming and raised planting beds full of light roof-top soil mix. This created a rich soil canvas for a variety of plantings from sedums to perennials like yarrow and russian sage to thrive.